Born and raised in Hong Kong, San Francisco, and Honolulu....the author enjoys ocean swimming, hiking, family, food, and kindness. The author lives on the lovely island of Oahu with her family. Recently, the author saw the movie the DUFF (Designated Ugly Fat Friend) and laughed out loud because in one scene the Duff is wearing pajama pants, socks, and crocs....similar to what the author has done before in terms of a lack of fashion sense...in her case, it was a over the knee skirt with ankle socks and birkenstocks! 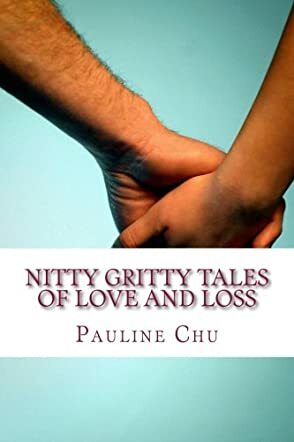 Nitty Gritty Tales of Love and Loss by Pauline Chu is a collection of tales that pinpoint what can make or break a relationship. You will meet a man whose wife left their seemingly happy marriage and ran off with a man she met on the internet. Other tales include: the woman who remains locked in a marriage to a religious man; the girl who turned to prostitution as a way of dealing with the years of abuse she suffered; the man who discovered his one true love and left his wife so he could pursue it. There are plenty of tales to keep you amused, to make you cry, to make you shake your head in exasperation, but one thing binds all these stories together – love. How many of these unfortunate people will fall foul to their heartbreak and how many will see it as a new start to life? The only way to find out is to dive in and follow them. Nitty Gritty Tales of Love and Loss by Pauline Chu was a bit perplexing to start with and - to be honest - I’m still not sure, even after reading the book, if these were true stories or fiction. Whichever they were, they are all very well written and well articulated, and each one has its own lesson for readers to learn. The book itself was well put together and I would recommend it to anyone who wants a book of short stories.